Realistic Apple device Mockup. Real McBook and iPad template. Create awesome scenes with this McBook Pro and iPad Pro Mockup. Use to show your apps or designs in the Apple’s screens. Realistic final effect. The design provide you to change the screen of the McBook and iPad in HD. The file is in completely high definition. In addiction there are different bright effects to make your design more realistic. Really easy to change the design, less than 30 seconds. 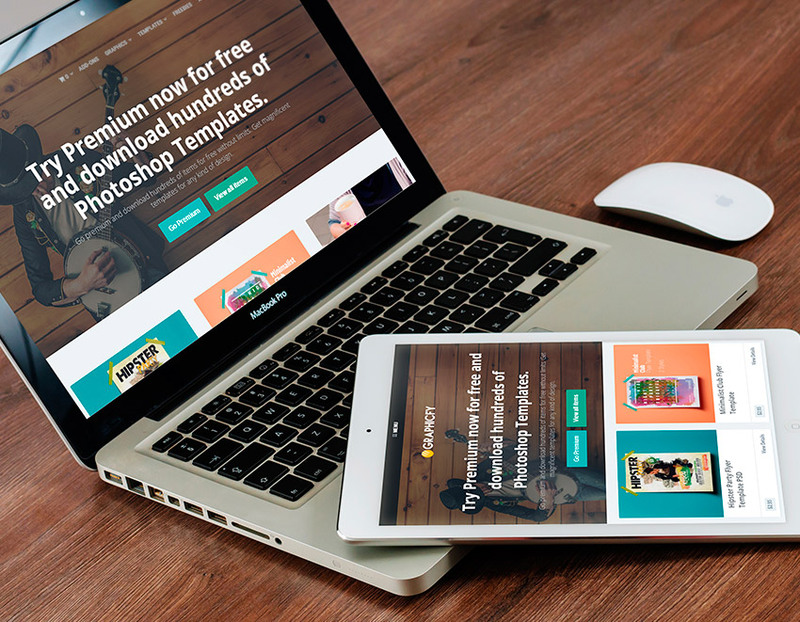 Download now this Mock up template or check other of our mockups here.